A dental extraction is when a tooth is removed from its place in the gum and bone of your jaw. Compared to many other dental procedures, an extraction can sound intimidating and even a little scary. However, at Summit Dental Group, we believe that education and understanding of the reasons that may warrant a tooth extraction will help ease your mind if you’ve been told by your Boise dentist you need to have a tooth removed. Only your Boise dentist can recommend the best course of action related to a tooth extraction. Unless it’s an emergency situation, an extraction will be based on a thorough examination and comprehensive evaluation of your dental health. For more complicated extractions, Summit Dental Group will refer you to a skilled oral surgeon. These cases can include severely impacted or damaged teeth. Below are some reasons your Boise dentist may recommend a tooth extraction. 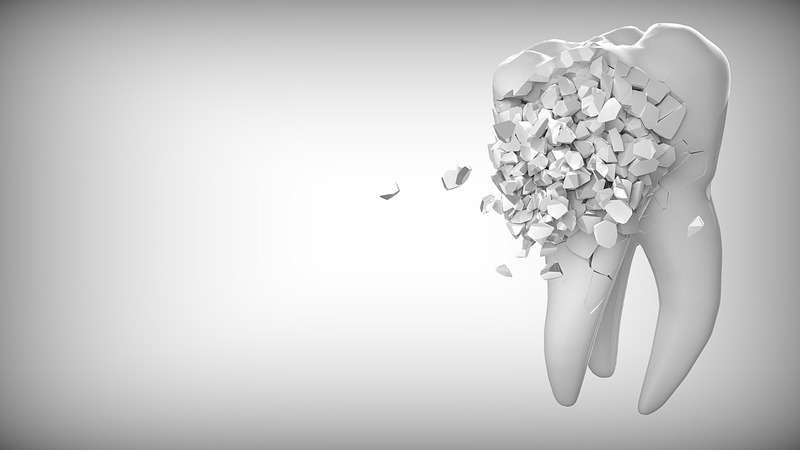 If a tooth has been damaged due to an accident or trauma, it may not be possible to repair it. If this is the case, an extraction may be the only option. A severe infection or decay that affects the pulp of a tooth can be a reason for extraction, especially if an infection doesn’t respond to antibiotics. In certain cases regarding gum disease, a tooth may need to be removed if the root is exposed or has become damaged. Wisdom teeth are a common extraction because they often can’t push through the gum or if a patient’s jaw is too small to accommodate them without crowding other teeth. In these cases, extraction is often recommended by your Boise dentist, especially if they are impacted, turned at odd angles or affecting the bit and chewing ability of a patient. Furthermore, teeth may need to be extracted for functional or cosmetic reasons. At Summit Dental, this is one of the most common questions our Boise dentists get asked. Even the common practice of removing a wisdom tooth isn’t always necessary, and a toothache doesn’t automatically mean a tooth should be extracted. That’s why a thorough evaluation of a patient’s mouth is necessary to determine the best course of action. Pain with eating or drinking. If you are experiencing any of these symptoms, it’s important to schedule an appointment with your Boise dentist as soon as possible. With modern techniques and local anesthesia, the extraction of a tooth is nothing to fear. In fact, having a tooth removed often causes no more discomfort than having a cavity filled. Upon the recommendations of your Boise dentist, there should be no complications from a tooth extraction. These often include resting for at least 24 hours after the procedure and limiting your activity for a few days to allow your mouth to heal. Often we will recommend an over-the-counter pain reliever like Ibuprofen or Tylenol. However, we may choose to provide you with a prescription depending on your individual needs. Normally, the extraction site will heal completely within a month or so. After that, your Boise dentist can start preparing for a restoration like a dental implant. Restorations can help prevent your teeth from shifting that can affect your bite and ability to eat or speak down the road. These can include implants, bridges or partial dentures. If you suspect you have a tooth that may need to be removed, contact Summit Dental Group at (208) 345-8962 or fill out our online form to make an appointment. Our goal is to make your smile more beautiful while preserving the health and integrity of your natural teeth. With us, an extraction is a last resort option. That’s why we take the time to advise you on the various treatment options available to protect and preserve the function of your teeth. Many adults in the Treasure Valley have some form of gum disease. Gum disease is an oral condition that ranges from an inflammation of the gums (gingivitis) to more serious problems like periodontitis and advanced periodontitis. Gum disease is caused when the bacteria that is naturally present in your mouth combines with mucus and leftover food particles to form a sticky film called plaque. If plaque isn’t removed, it can harden into tartar. This tartar then attacks the enamel of your teeth and the tissues below the gum line. If gingivitis isn’t treated it can progress to periodontitis. Periodontitis can then result in significant damage to the bone and soft tissues supporting your teeth. In this scenario, bacteria can also enter your bloodstream and spread to other parts of your body which can result in additional health problems. Loose Teeth – Teeth can become loose if there is an infection beneath the gum line. As the problem persists, the gum pockets become deeper. Sensitive Teeth – Tooth sensitivity can be a sign of gum disease. This is because the underlying surface of a tooth loses the protection afforded by the outer enamel. Bad Breath – Bad breath that doesn’t go away or a bad taste in the mouth can be a sign of gum disease caused by an accumulation of plaque on the teeth. Red, Swollen, or Bleeding Gums – Inflammation caused by gum disease can cause your gums to bleed or become red, swollen or tender. However, gingivitis isn’t painful for everyone suffering from the condition. Receding Gums – Gum recession can be a sign of periodontitis when the surrounding tissues of the teeth erode or pulls back, exposing more of a tooth or its roots. Gum disease can be prevented by brushing and flossing your teeth at least twice a day. Visiting your Boise dentist at Summit Dental for regular checkups and cleanings can also help you fight gum disease. Dental hygiene is a critical part of maintaining healthy teeth and gums. That’s why it’s important to brush and floss your teeth daily and visit your Boise dentist for regular cleanings and exams. Even if you do have gum disease, it can be reversed with proper care. 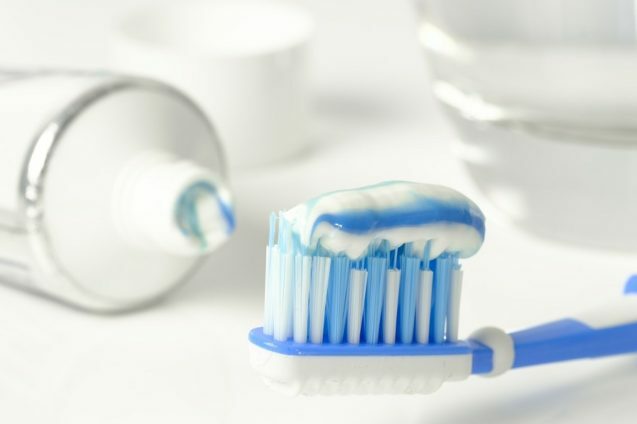 Gingivitis can often be treated with minimally-invasive options such as a professional dental cleaning and antibiotics. At Summit Dental we can provide you with a deep cleaning treatment called scaling and root planning for those who suffer from gum disease. During this treatment, tartar is scraped from the tooth below and above the gum line. Bacteria and other rough spots are also removed. Medications may be prescribed or mouthwashes may be recommended to limit and prevent the growth of harmful bacteria. In severe cases, surgery may be required and teeth may need to be removed. It’s important to pay attention to your oral health and visit your Boise dentist regularly to prevent gum disease. If you suspect you have gum disease, contact Summit Dental Group at (208) 345-8962 or fill out our form online. With treatment, we can provide you with healthy gums, healthy teeth and natural, beautiful smile you can be proud of. Bad breath is a problem that most people experience at least once in their lifetime. But for some, bad breath is something they struggle with daily. That’s why Summit Dental would like to help you identify the many common causes of bad breath and provide you with the following tips to treat them. There are many strains of bacteria that can cause bad breath. Even worse, the mouth is the perfect environment for them to grow, especially when plaque and food debris aren’t properly removed. That’s why it’s important to maintain proper dental hygiene to prevent bad breath from happening. This includes brushing your teeth twice daily and flossing at least once a day. You can also use a tongue scraper to help remove additional bacteria and food debris from your tongue for extra freshness. Bad breath can also be caused by infection, tooth decay, and gum disease. Signs to look out for include tooth pain and bleeding or puffy gums. If you notice any of these symptoms, it’s important to visit your Boise dentist as soon as possible to get treated properly. Certain foods that you eat can cause unwanted bad breath. It’s that simple. Even worse, the odors can linger long after you’ve eaten them. These include onion, garlic, and other smelly foods that enter your bloodstream and proceed to your lungs once they are digested thus affecting how your breath smells. If you suspect the foods you eat are the cause of your bad breath, you may want to try eliminating them temporarily to see if that helps. Saliva by nature helps to hydrate and cleanse your mouth. When saliva is low it can lead to bad breath. This is especially common in the morning when the mouth dries out during sleep. Other causes of dry mouth include the regular use of certain medications. If you notice any symptoms of dry mouth, it’s important to talk with your Boise dentist to see what solutions they can offer. Even more, it’s important to stay hydrated by drinking plenty of water throughout the day. Smoking is known to cause many serious diseases including lung and oral cancers. Even more, it can cause unwanted bad breath by reducing the flow of saliva and promoting gum disease. That’s why it’s important to quit smoking (and tobacco use in all forms) to ensure your dental and overall health. If you would like more information or would like to schedule an appointment to find a solution for your bad breath, contact Summit Dental Group at (208) 345-8962. Our Boise dentists would be more than happy to answer any questions you may have and assess the overall health of your teeth and gums. At Summit Dental, our mission is to help our patients achieve total dental health. But in addition to healthy teeth, we also feel it’s important for our patients to feel confident with their smile. Over time, teeth become discolored because it’s impossible to avoid eating and drinking the foods and beverages we enjoy. Thankfully, teeth whitening is a simple, cost-effective way to whiten your teeth. 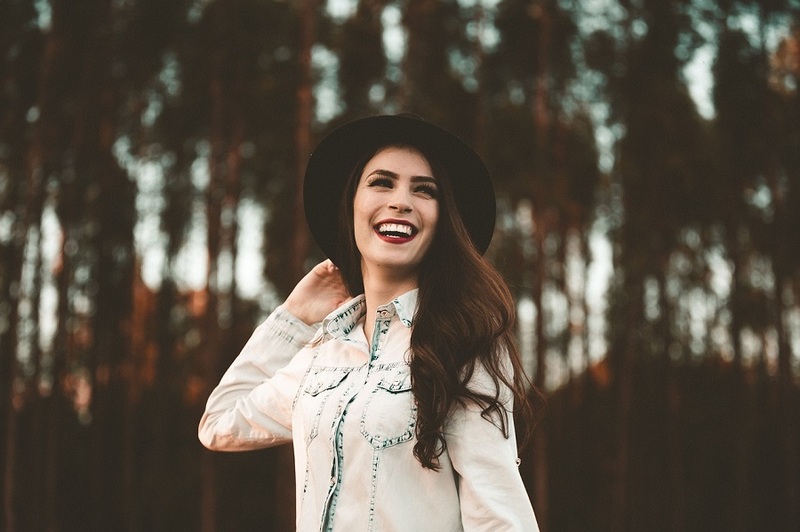 As your Boise dentist, we’re proud to offer a variety of high-quality teeth whitening treatments, including in-office and at-home treatments along with Crest Professional White Strips. If you’re considering whitening your teeth, there are a number of benefits why you should visit your dentist for the procedure. Wish you had a whiter smile but don’t want to pursue extensive dental work like veneers? Professional teeth whitening is a simple, convenient procedure that can whiten your teeth quickly and efficiently with amazing results. We’re proud of the teeth whitening results we provide our patients at our Boise, Idaho dentists office. Brighter, Whiter Teeth. Professional teeth whitening lives up to its name at Summit Dental. Using specialized, prescription-strength whitening products, we can lighten your teeth in a single appointment, making it possible for you to walk out of our office with a brand new smile! Convenient Treatment. Our simple teeth whitening process involves sitting in one of our treatment chairs with a whitening gel applied to your teeth. Because it’s painless, there’s no need for anesthesia and requires no recovery time. Simply schedule an appointment, walk out with a new smile, and go about your day. Long-Lasting Results. While white teeth won’t last forever, you can enjoy your smile for many months with proper at-home care. We will provide you with information on how to care for your smile and to protect your teeth whitening investment during your appointment. Increased Confidence. Perhaps the number one benefit of a professional teeth whitening treatment is increased confidence. Our Treasure Valley patients leave our office feeling more confident and happier after a teeth whitening procedure. There’s nothing better than feeling proud of your smile and we make it easier than ever to achieve that goal. Professional teeth whitening is a quick, convenient, and affordable way to revitalize your smile in a single visit. If you’re considering a teeth whitening treatment, the team at Summit Dental Group would love to help. Contact us at (208) 345-8962 for more information or to schedule an appointment. We can’t wait to hear from you and look forward to helping you achieve a confident, white smile you can be proud of! We’ve all experienced it to one degree or another. It’s time for a visit to your Boise dentist and anxiety sets in. While dental anxiety can be distressing, it’s something completely normal that many people throughout the Treasure Valley struggle with. However, letting this anxiety go can be a challenge for anyone who experiences it. That’s why Summit Dental would like to provide you with the following tips and guidelines to help ease your dental anxiety. Dental anxiety can be felt well before an appointment with your Boise dentist is scheduled. It can include a general sense of dread, panic, and fear at the mere mention of getting your teeth cleaned. This type of anxiety can be further increased as your appointment approaches or as you are sitting in the waiting room. While there is no main reason why people experience these feelings of anxiety there are a few things to help you and it all starts with one simple step. The first step to overcoming your dental anxiety is acknowledging that you have it in the first place. 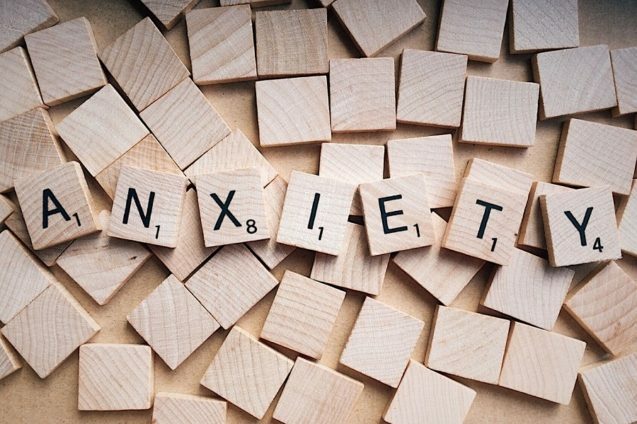 While this isn’t always easy for those who experience anxiety, it’s important to inform your Boise dentist that you struggle with it. Many patients throughout the Treasure Valley can go years without visiting their dentist due to their apprehension. Whether you are getting a regular cleaning, checkup, or necessary treatment, it’s important to mention your anxiety at the start of the appointment. Why? The dentists at Summit Dental Group are compassionate about your feelings and want to accommodate you as much as possible to ensure you feel comfortable thus lessening your fears in the future. Your Boise dentist can help aid in reducing your feelings of dental anxiety in many ways. Once we are aware of the issue, we can provide you with updates on what we are doing throughout any procedure with us. We will also take the time to ask how you are doing and whether or not we need to stop and take a moment’s break to help you relax. This helps many patients evaluate their treatment and reduce their dental anxiety. Aside from talking to your Boise dentist about your anxiety, you can ask a friend or family member to come with you. At Summit Dental Group, we don’t want you to feel alone. 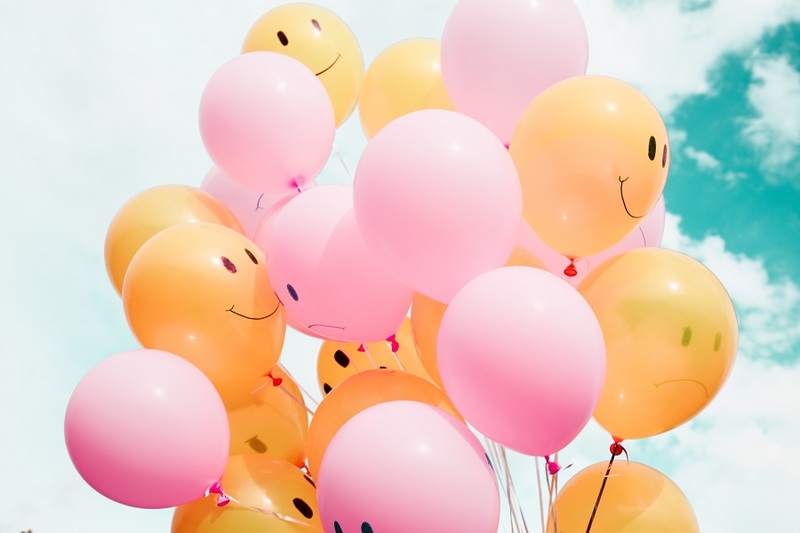 With the added support of a loved one, those dealing with anxiety are more able to keep their appointment with us which in turn keeps their smiles healthy and beautiful. Even more, many people realize after their treatment that their visit wasn’t as bad as they originally feared. The best part? Once you stand up to anxiety, many feelings of anxiety will subside once you go through the experience. While there is no one-size-fits-all-solution for dental anxiety, you don’t have to feel like you are alone or jeopardize your oral health by avoiding your dentist out of fear. As we covered above, it all starts with simple communication, a helping hand from a trusted loved one, and the kind support of our Boise dentists. At Summit Dental Group, we offer both quality communication and quality care around your dental anxiety. Contact us today to see how we are different and to schedule an appointment today. It’s pretty common for people in the Treasure Valley to put off their Boise dental cleanings because they either forget or they are trying to save money. In fact, more than ⅓ of U.S adults haven’t visited their dentist in the past year. Dental cleanings, however, are a surprisingly easy and affordable form of preventive care. Even more, once you make regular visits to your Boise dentist at Summit Dental Group, the more likely your teeth will become whiter and healthier in the process. Before a teeth cleaning, a dental hygienist will use a small mirror to inspect your mouth. This allows them to look for issues like gingivitis and oral cancer. No one wants to learn that they have major issues with their oral health that need fixing. However, the sooner a problem is discovered, it can be remedied. Treatment can also be much less extensive and expensive rather than if a problem is left ignored. What’s more, the Boise dentists at Summit Dental will work with you to provide you with the individualized care you need. By being honest with your dentist, you can replace any anxiety you may feel with certainty and a game plan to fix any issues. At home, we take the time to brush and floss to keep our teeth clean and healthy. Doing so removed any gunky film that’s formed when bacteria mixes with leftover food particles that can compromise your tooth enamel and lead to unwanted cavities. When we fail to remove plaque from our teeth, it can harden into tartar. Tartar is a rough, porous substance that forms at the base of your teeth near the gum line. Along with being gross to look at, tartar can cause receding gums and gum disease. Because tartar bonds like cement to our teeth, it needs to be professionally removed with special dental tools. A professional dental cleaning will remove plaque and tartar as well as any trapped food particles. Bad breath. We’ve all encountered this unpleasant phenomenon in others, but often we are unable to detect our own case of halitosis. If your mouth is loaded with bacteria, the kind that fosters gum disease, you are likely walking around with bad breath. Admit it. We’ve all experienced bad breath. By getting a professional teeth cleaning and caring for your teeth in between appointments, you won’t only stave off cavities and gum disease, you will also enjoy the benefits of fresher breath. This, in turn, will make people want to be closer to you rather than farther away. Brushing your teeth 2x a day. Flossing at least once a day (at bedtime) to remove plaque and leftover food particles. Replacing your toothbrush every 3 months or when you’ve been sick. 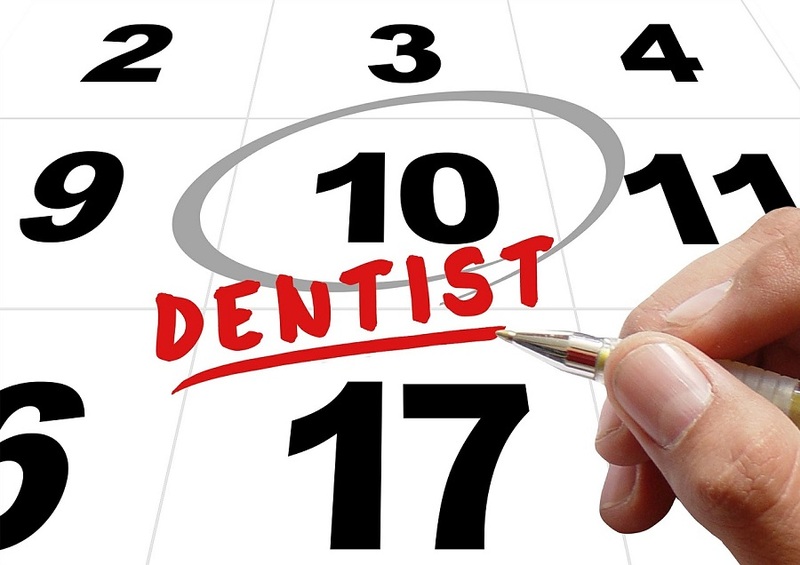 If it’s time for your next teeth cleaning, we invite you to contact us at (208) 345-8962 today to make an appointment. Our individualized services and care environment is something to smile about. See you soon! Finding a Boise dentist that you’re comfortable with isn’t always easy. In fact, many people throughout the Treasure Valley dread going to the dentist more than they do the doctor. From the moment they walk in the door, they feel anxious and ready to leave. However, the Boise dentists at Summit Dental Group have made it our mission to make you feel comfortable and confident when it comes time for your next visit. To us, you’re more than a just a patient, you’re a part of the Summit Dental family. We make it a top priority to listen to your concerns while tailoring a treatment plan to accommodate what works best for you. Our Boise dentists understand that every patient is different, and our staff respects the choices you make when it comes to your oral health care. By continually striving to add value to the services we provide the community, you can feel good knowing our team is interested in getting to know you as a person while providing you with the best treatment options available. At Summit Dental Group, we make it our mission to deliver the best level of care based on your overall health and well-being. Our goal is to not only build strong relationships with our Treasure Valley patients but ultimately improve their lives through the services we provide. With a variety of preventative and restorative procedures to choose from, Summit Dental Group is constantly incorporating the latest dental techniques to provide you with a healthy, beautiful smile. We stay up-to-date by exceeding our continuing education requirements to provide top-quality excellence to all of our patients. At Summit Dental Group, we want you to look and feel great. That’s why we believe that preventative care and education are extremely important to optimal dental health. We focus on thorough exams, checking the overall health of teeth and gums, and knowing how crucial this is in preventing dental disease. Not only are we concerned about the beauty of our patient’s smile, we are also concerned about the overall health of our patients. Whether your dental needs are a complete exam and cleaning, a full mouth restoration, or anything in between, Summit Dental Group will provide exceptional care as we restore and enhance the natural beauty of your smile. We’re here to support you and guide you in making the best choices for your oral health! Contact us at (208) 345-8962 to schedule an appointment. At Summit Dental Care, our Boise dentists provide cosmetic dental treatments for patients who want to improve their smile. However, those who might benefit from a best smile restoration often don’t realize cosmetic dentistry is right for them. That’s why we’d like to provide you with the following benefits of Summit Dental cosmetic treatments. Your smile is one of the first things people notice about you. For some, this positive first impression can be a key advantage to a successful relationship or career. When needed, a best smile restoration can provide you with a smile that benefits both your personal and professional goals. Additionally, a best smile restoration can boost your self-confidence by providing you with an aesthetically pleasing smile. There is a general link between how a person looks and how they feel. Often, improving how a person looks on the outside with a healthy, beautiful smile can give a patient a more confident feeling towards life through cosmetic dentistry. Cosmetic dentistry focuses on the beauty of one’s smile and every smile is unique. That’s why cosmetic treatment options vary to repair chips, close gaps, and whiten teeth. As a result, your best smile restoration will depend on your individual needs, oral health, and the goals you want to achieve. At Summit Dental Group, our Boise dentists combine both artistic and scientific talents into one treatment plan. Undergoing cosmetic dentistry with us is a great way to ensure your smile receives the best treatment possible. While many dentists offer cosmetic dental treatments, only some have the unique training needed to provide high-quality care that best serves your aesthetic goals. At Summit Dental, our Boise dentists have graduated from some of the very best dental institutes ranging from Creighton University to the University of Minnesota School of Dentistry. We are also active members in the American Dental Association and Idaho State Dental Association and enjoy staying up-to-date in all the latest cosmetic and restorative dentistry techniques by attending various continuing dental education courses each year. By visiting our practice and trusting us with your smile, you’ll feel good knowing you are with someone who knows the right treatments for your unique, individual smile. Summit Dental offers cosmetic dentistry treatments to Treasure Valley residents and the surrounding communities. Our Boise dentists specialize in providing patients with the smile they want and deserve. For more information about the cosmetic treatments we offer, contact us at (208) 345-8962 to schedule your next appointment today. Does the idea of wearing braces make you feel like you should be back in high school? 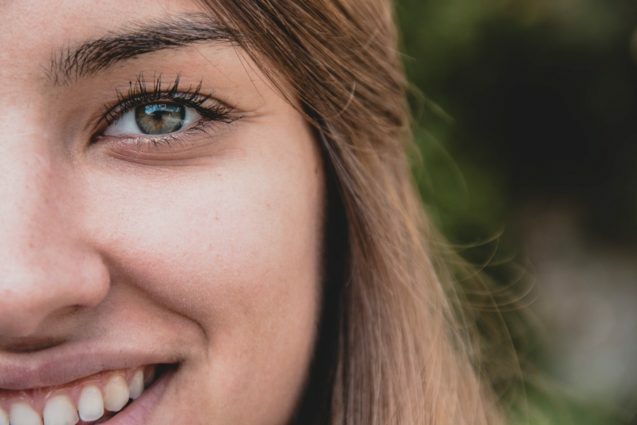 At Summit Dental Group, we understand that many adult patients throughout the Treasure Valley cringe at the idea of getting braces to fix a distracting gap in their smile. That’s why our dentists offer a variety of Boise dental alternatives to correct an unwanted gap between your teeth. Bonding is a cosmetic dentistry technique in which tooth-colored composite resin is matched to the same shade of your other teeth before being applied and sculpted to fill in a gap. During this process they carefully etched, rinsed, dried, and cured using an ultraviolet light to harden the bonding. Last, but not least, bonded teeth are then polished. A huge advantage of dental bonding is that it is a rather inexpensive dental procedure compared to other cosmetic options. However, it’s important to keep in mind that the resin used can become discolored over time depending on daily lifestyle habits like smoking and drinking coffee. Veneers are thin, porcelain shells that are bonded to your teeth. Our Boise dentists match your veneers to the natural shape and shade of your surrounding teeth to fill in gaps and cover minor flaws. Using the finest quality materials we take an impression of your teeth and use it to fabricate your dental veneers. Once they are created, we will then remove a portion of the enamel from the surface of your teeth to create space for your veneers before they are permanently bonded. The advantages of dental veneers are that they are a wonderful cosmetic dentistry option that can fill in unwanted gaps and cover minor flaws while being resistant to staining. However, if they do become damaged, they will need to be replaced with new veneers as they cannot be repaired. Invisalign aligners are clear trays that are custom made just for your teeth. These trays are then used at home and worn every day. Twice a month, the trays will be replaced as your teeth shift into place, closing an unwanted gap over time. By visiting us on a regular basis for checkups, we will ensure your treatment is progressing smoothly. Summit Dental patients will experience several benefits with Invisalign aligners compared to traditional braces. These include comfort, convenience, and the ability to remove them if needed. However, it’s important to adhere to the strict maintenance requirements in order to achieve your desired results. All cosmetic dentistry options depend on your unique situation. If you are interested in closing an unwanted gap in your teeth and fixing any flaws, contact the friendly staff at Summit Dental Group at (208) 345-8962 today. Our Boise dentists will take the time to listen to our concerns and help you develop a personalized treatment plan that is just right for you. If you’re reading this post right now, the chances are good that you or someone you love is experiencing unwanted dental symptoms. It doesn’t matter what day or time it is, our bodies eventually let us know when there is a problem. However, determining whether or not the symptoms you are experiencing require a visit your Boise dentist can be difficult. That’s why Summit Dental would like to provide you with a list of emergency symptoms to pay attention to that may warrant an emergency visit to our practice. Below is a list of symptoms that may require an emergency visit to Summit Dental. If you are a Treasure Valley patient who is experiencing one or more of these symptoms, it’s important to contact your Boise dentist as soon as possible. Waiting for a more convenient time is not something that we advise if you can avoid it. Delaying necessary treatment can result in significant damage or infection, requiring more invasive, time-consuming, and costly procedures. There are many dangerous dental conditions underlying the above symptoms that Treasure Valley residents should be aware of. Unless you are a doctor or a dentist there is no way for most people to self-diagnose themselves simply by doing a basic internet search. What you may assume to be a basic toothache can actually turn out to be an abscessed tooth or something more problematic that requires immediate attention. At Summit Dental Group, we will do everything we can to get you into our office as soon as possible once you contact us for a dental emergency. During your visit, you can expect your Boise dentist to perform a comprehensive dental exam where we will take x-rays in order to help determine the cause of your discomfort. From there you will receive immediate treatment for your dental problem and if needed you will be given a prescription to treat any underlying infection. Our Treasure Valley patients will also be provided with a list of at-home instructions or additional appointments that need to be scheduled. Providing you with high-quality, effective care that relieves your discomfort is our #1 priority as well as providing you with peace of mind knowing you’re in good hands. If you are in need of an urgent dental visit, contact Summit Dental Group at (208) 345-8962 and let us help you feel better. Don’t take chances with the health and beauty of your smile. Make an appointment today to avoid any pain and further disruption to your busy life this holiday season.